Dr. Softness was a founding partner of West End Pediatrics in 1985. At the time, he was the Director of Pediatric Medical Education at St. Luke’s/Roosevelt Hospital. He is particularly interested in diabetes and growth. He is actively involved in teaching and diabetes research and is currently an Associate Clinical Professor of Pediatrics at Columbia University and Co-Director of the Pediatric Diabetes service at Columbia’s Naomi Berrie Diabetes Center. During his professional career, Dr. Softness has been a consultant for the School of American Ballet, for the Children’s Aid Society and for the Educational Alliance. He has also gone to South America and China as the pediatrician for cleft palate repair missions. He has been quoted in print media (including the New York Times) and has been interviewed on radio and television programs. 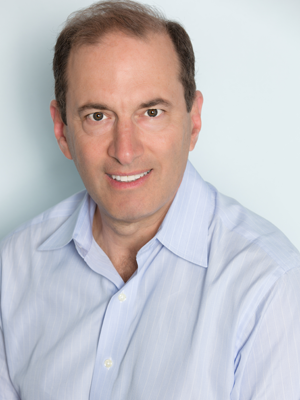 He is the author of numerous peer-reviewed scientific manuscripts and has been listed among the Best Doctors in the United States, Best Doctors in the New York Metropolitan Area, and in New York Magazine. He has a son and a daughter, 3 step-children, 4 cats and a yellow lab. He enjoys cooking and gardening. Nothing fascinates me more than the simply amazing phenomenon of watching babies grow up into adults. I am completely intrigued by the process – not only the neuro-biological aspects but the psychosocial developmental ones as well. Watching, and helping parents rear their children is one of the reasons I love pediatrics. If I have figured out anything in many years of practice, it’s that there is no standard developmental path and certainly no one right way to raise a child. There is no perfect system, or template. The journey is much too individualized to be covered by simple instructions. Besides broad cultural differences, all people bring to their parenting their own personal histories – each parent their own obviously – and that, coupled with every child’s highly individualized temperament and development – creates a unique situation almost every time. This is what keeps pediatrics riveting. Even mundane medical problems – colds, ear infections, tummy aches – or routine developmental achievements such as toilet training or sleep training are never the same for everyone. The parenting style, the child’s temperament all untie to create a unique situation – sometimes challenging, sometimes not. I think that parents need to know and understand – and trust – their own instincts when it comes to child rearing. Again, there truly is no one right way, so I like to think that I can help guide parents to the decision that works for them. I don’t dictate instructions so much as suggest. And even then, I need to know if those suggestions don’t feel right, or don’t work. I always have another plan. I feel that, as your pediatrician, I am in many ways a part of your family, and it is truly an honor and a privilege that I don’t take lightly. I appreciate your trust and confidence, and I look forward to watching your child grow.